TEG is safe, nontoxic, colorless, transparent, neutral liquid. 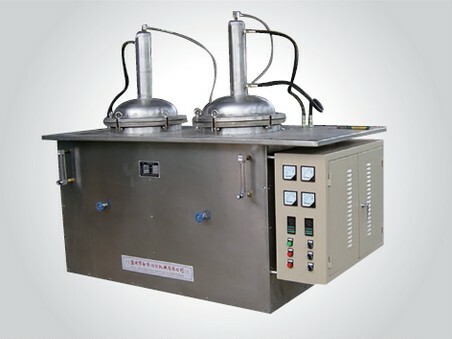 When it is heated to boiling temperature, which is 285˚C under atmospheric pressure, it can alcoholize and dissolve high molecular polymers, so that the work pieces can be cleaned thoroughly. 1. Inner tank is made by 1Cr18Ni9T steel as for rinse container. Cooling jacket is equipped outside inner tank to cool the triglycol（TEG）solution after cleaning. Insulating cotton is filled between cooling jacket and outer tank. The tank is separately equipped with outlets for heater, waste discharge and maintenance. 2. Condenser: it is installed on the upper left of the tank. Cold water, as cool medium, passes through interlayer of condenser in order to condensateTvapor TEG, which then is collected and recycled. 3. Electric heating device: it is divided into two groups,stainless heater tube in flange type directly inserted into TEG solution. Each group consists of 6 pipes, in “Y” connection. 4. Basket: it is used to contain work pieces to be cleaned. 5. Controller: automatically temperature controller, digital display, which main circuit adopts non-contact control, with over temperature alert function. 1. Disassembly filtering devices in order that most of high molecular polymers flow out. Unscrew all the screws and similar parts, and then put all these work pieces into basket. 2. Fill in the tank with TEG solution to about 70-75% volume of the tank. 3. Soak the basket with work piece to be cleaned into the tank, switch on instrument and heating device, set temperature to 285˚C. 4. Open flow controller valve to 0-100L / H, and condenser valve. 5. Stop to heat and keep it at the temperature of 285˚C; After 6-8hours, open cooling device to cool down the TEG solution. 6. When the TEG solution dropped to below 50˚C, close the cooling valve, open the furnace lid, remove the basket. 7. Move the basket into water at the temperature of 95˚C, then into alkaline solution tank at the temperature of 60-70˚C,finally rinse it in hot water. If the work pieces are spinnerets, candle filters, and other parts which are specially requested to be clean, it must be cleaned by ultrasonic cleaning unit. By now, the cleaning process is completed. Hereafter some dimension is listed. We provide any dimension as requested.